This is a trip for those who want to experience the essence of the island, taking you along the roads and pathways of Corsica from north to south. It offers an overview of the island, but shows you the appeal of each area, exploring the most beautiful parts while also introducing you to places of cultural, gastronomic and historical significance. This is a holiday offering great opportunities to relax and unwind in a choice of stylish hotels! Your first two nights on the island will be spent in a typical village, in a very comfortable hotel which ranks as one of the grandest houses on the island and which offers breath-taking views over the bay of Calvi. A stroll around the Genoese town of Calvi will help you work up an appetite for a gourmet meal. Walk around the citadel for wonderful panoramic views over la Balagne and the highest peaks of Corsica. Today’s trip inland will take you to the heart of Balanine culture and traditional heritage. 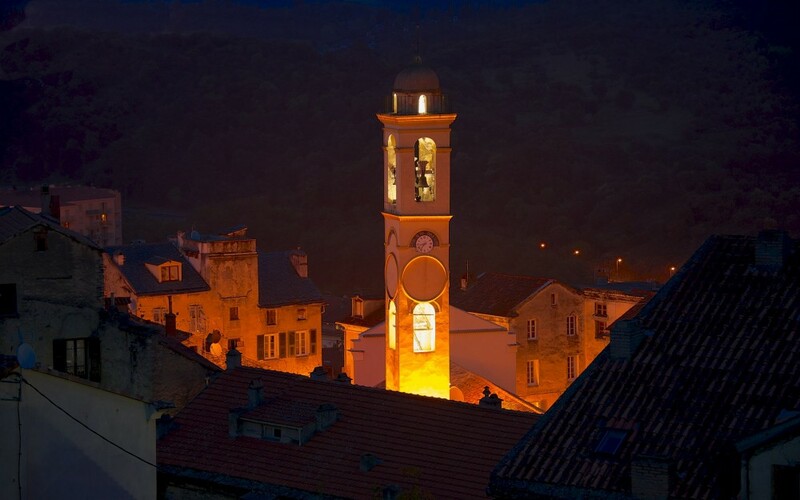 In the villages of Corbara, Pigna and Sant’Antonino, you can see some local craftsmanship, try some of the olive oil made in a traditional mill and taste the wine from a renowned local vineyard. In the charming little museum, look around the superb exhibition which documents the local passion for music and art and have a look too at the other rare and exceptional artefact collections. 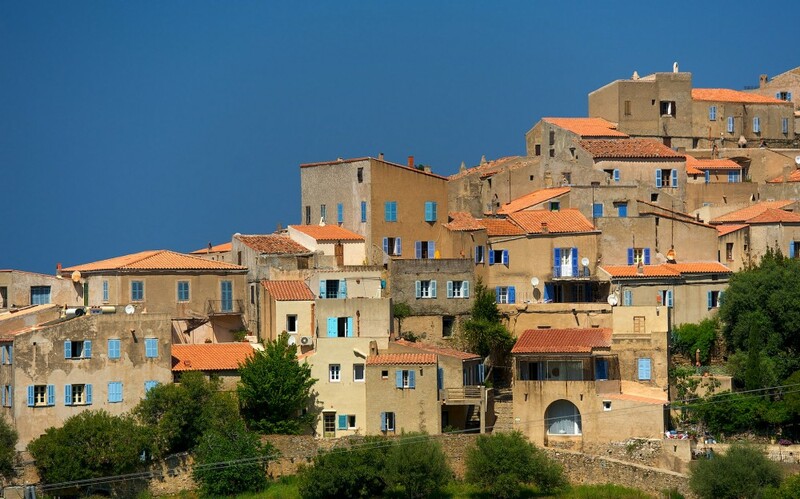 We head today for the centre of the island and Corte, the historic hotspot that Pasquale Paoli (the 17th century Corsican resistance leader) declared the capital of the newly independent Corsica. A country road lined with pine trees leads the way into the romantic Restonica valley. Recharge your batteries in the most picturesque of mountain scenery as you follow the footpath to Melo and Capitello Lakes. Your accommodation for the night is situated in a very peaceful spot by the river. Today we will show you the land of contrasts that is Corsica! We take the scenic Scala di Santa Regina road up into the mountainous Niolu region, an idyllic rural tourist attraction. From the village of Calacuccia dominated by the majestic granite towers of I Cinque Frati, the route takes you through some beautiful forests: Valdu-Niellu with its Larricio pines, beech and oak trees and Aitone where natural pools offer a relaxing and refreshing stopping point. As you reach the village of Evisa, you will see the gulf of Porto and the impressive sight of the huge granite cliffs, the Calanches de Piana. Mother Nature at her best! It may be hard tear yourself away from such a panoramic view, but you should be able to watch the sun go down from the comfort of your hotel. Today’s route takes you along the coast, through Cargese and other seaside villages to arrive at Ajaccio, Napoleon’s birthplace. You will arrive in the morning and can spend the rest of the day wandering around the market stalls, taking in the smells and flavours of local produce. Visit the old town, Napoleon’s house, the citadel and cathedral and stroll around the streets where the buildings, some brightly coloured, some less so, give the town its very Mediterranean style. We head to the south to Filitosa, one of Corsica’s most important prehistoric sites, its menhir statues witness to a bygone era. The route takes you to Propriano, Sartene and on to Porto Vecchio where you will spend your last two nights in very relaxing accommodation. Beautiful sandy beaches are very close by for a relaxing swim. The holiday draws to an end in Bonifacio, built on a promontory high above the limestone cliffs. Strolling around this hilltop town, you will feel as though you have gone back to the middle ages. To get an even better view, you can take either a yacht trip or a walk along the coastal path. For seafood-lovers, a lunch stop in one of the restaurants by the marina is a must. The lunches, the dinners(except 3 as mentioned in the price includes), the entrance fees( monuments or museums...), the parking fees, the drinks, the tips, travel insurance (on request), and personal expenses.